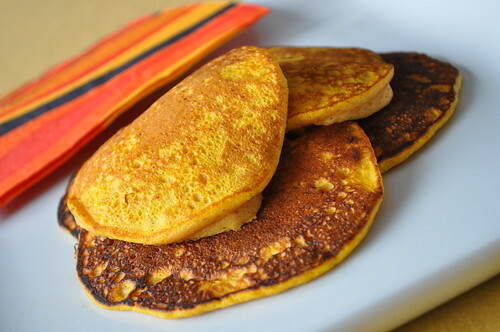 You're Gonna Bake It After All: Happy Halloween with Pumpkin Pancakes!!! Happy Halloween! Just a last minute recipe with an idea that turns ordinary pancakes into a festive treat. 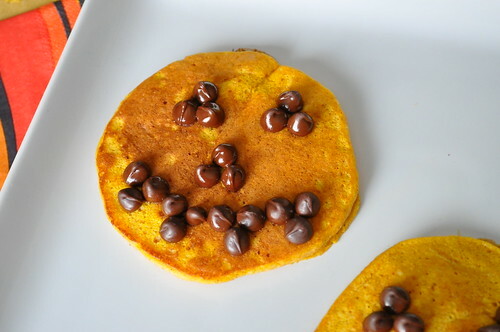 I have wanted to try pumpkin pancakes for a while now, and I started thinking about how to make them more Halloween-oriented - why not use chocolate chips to make them into jack-o-lanterns? My mom used to make pancakes in Mickey Mouse shapes and used chocolate chips for the face, so this concept is virtually the same. In my opinion, pancakes should be light and fluffy, but too often the pancakes I order in restaurants are heavy and dense. Like the pumpkin waffles, this recipe uses the technique of whipping up egg whites to fold into the batter; I think this creates a super fluffy pancake. 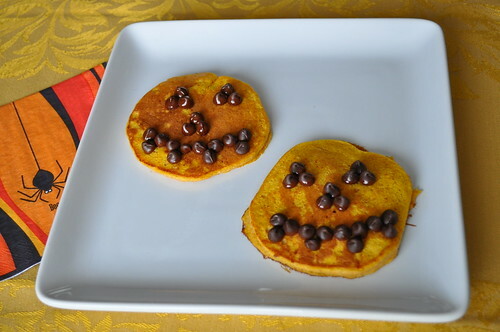 We really loved these pancakes, although they could use more pumpkin spice flavor. Next time I'll probably double the pumpkin pie spice. 1. 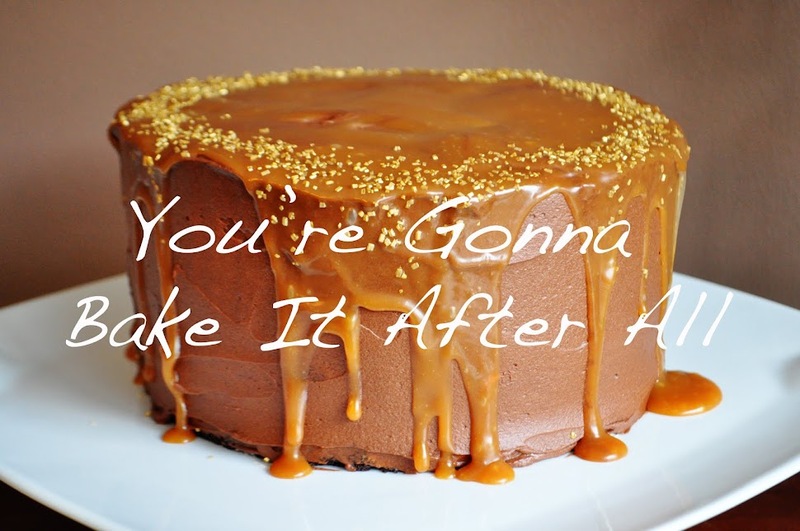 In a large bowl, whisk together the flour, sugar, baking powder, pumpkin pie spice, and salt. 2. In a separate bowl, combine the milk, pumpkin puree, egg yolks, melted butter, and vanilla extract together, whisking to blend until smooth. 4. 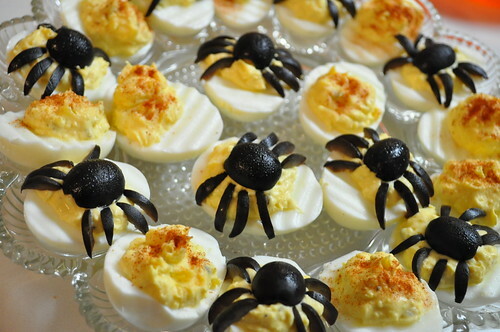 In the bowl of an electric mixer, beat the egg whites until thick and stiff. 5. Gently fold the egg whites into the pancake batter until fully incorporated. 6. Meanwhile, heat a frying pan over medium heat. 7. Lightly spray the pan with cooking spray or use butter or butter substitute (we like Brummel & Brown). Pour batter onto pan in 1/4-cup increments (I like scooping it with a 1/4 cup measuring cup and using the bottom of the cup to smooth out the thick batter). 8. Cook each pancake until lightly browned on each side, about 1 minute per side. Air bubbles will start to reach the surface of the pancake and escape, indicating that it may be time to flip. 9. Transfer each cooked pancake to a warm plate (or one in the microwave to prevent cooling) and repeat with the remaining batter. 10. Serve with your favorite pancake toppings. Such a cute & festive idea!